There was a time when Nelly was somewhat of a great pirate. She saved the Spoonbeaks once upon a time but now she’s a lowly mail clerk on a mail ship. Her ol’ ghost pirate pal, Bloodbeard, shows up to let her know that her great enemy Widebeard is up to his old tricks again. This time he’s manipulating the Spoonbeaks and various other beards and using them to do his bidding. Now Nelly must find Widebeard and stop him before he releases his Fowl Fleet! 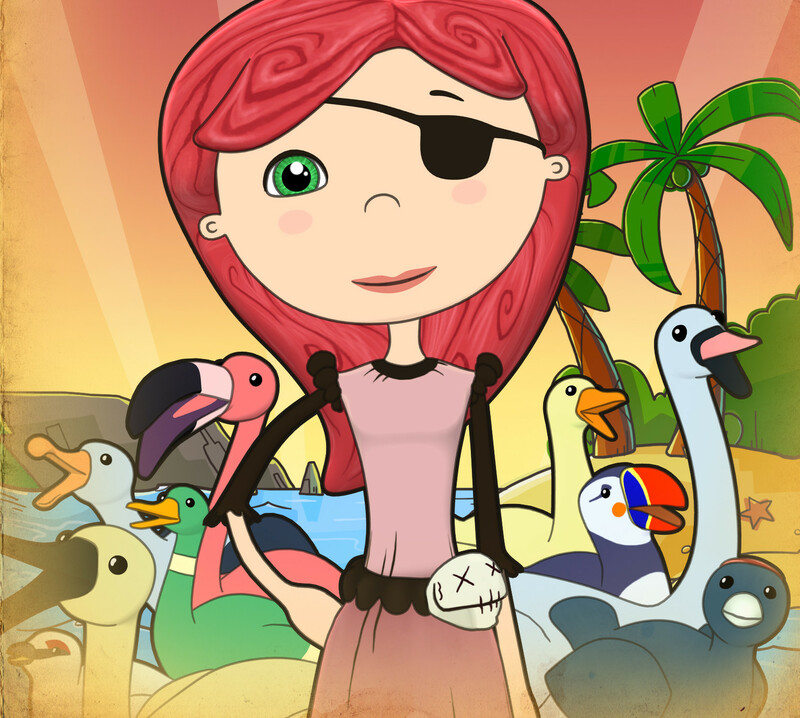 Nelly Cootalot: The Fowl Fleet is the sequel to an Adventure Game Studio title called Nelly Cootalot: Spoonbeaks Ahoy! While that game featured a hand drawn 2D style of gameplay. The Fowl Fleet is beautifully rendered in vibrant 3D visuals. The animations for the various characters and actions are simple but sweet. Don’t expect too much wacky movement outside of a few cut scenes and you should be golden. The world of Nelly Cootalot likes to keep it simple, but there are still plenty of kicks to get out of the characters movements. One particularly humorous example is after Nelly helps a bird move to a new home, and he thanks her by giving her a hat full of his poop before sliding away into his new nest. It’s simple and sweet and adds a different sort of hilarity to the world. Nelly Cootalot is a comedic adventure title and it never stops reminding us. Nelly is gung-ho but completely dimwitted at the same time. She’s like a stupider version of Drax from Guardians of the Galaxy. She takes most anything people tell her literally, so she’ll end up asking ridiculous questions or won’t fully understand basic innuendo. Luckily, a wide variety of the people she meets are quick to crack a few jokes or two. One of my favorite characters in the game is named, “Gusty Nethers.” Yeah… that’s right… Gusty Nethers. He also has a few other ridiculous names he starts to call himself over the course the game. Gusty is just one of many characters that don’t take themselves too seriously. It makes for some wonderful back and forth banter between Nelly and the various characters. There are some downsides and most of it comes in the form of the voice acting. It’s not to say that the voice acting is bad, in fact a lot of it is great. It’s that the jokes fall flat because the timing or the emotion isn’t particularly perfect. Sometimes Nelly or another character will tell a joke and there is no oomph to it whatsoever. Other times there will be a witty back and forth and the timing of a joke is just not enough to evoke laughter. It’s the moments like these that are a bit of a drawback to The Fowl Fleet, because it’s filled with hit and miss jokes. When it comes to the mechanics of the title. The team sought to make a game that isn’t just ham-fisted with combining items and clicking things. There are quite a few thoughtful puzzles in the game that think outside the box. Lots of the brainteasers rely on some well thought out and even nostalgic design choices. The enigma of it all functions by figuring out elements of a puzzle and piecing it altogether to create one cohesive part. A sample of this is one of the first real puzzles, where Nelly has to figure out the route of a fleet of ships by studying a log. Using different days as a reference you have to piece together the name and location of a ship she has to board. There are a variation of moments like these that shirk the usual “Click on random things” design of most adventure titles. Nelly Cootalot gives me a Professor Layton vibe as it consistently gives us amusing and well-thought out puzzles to enjoy. 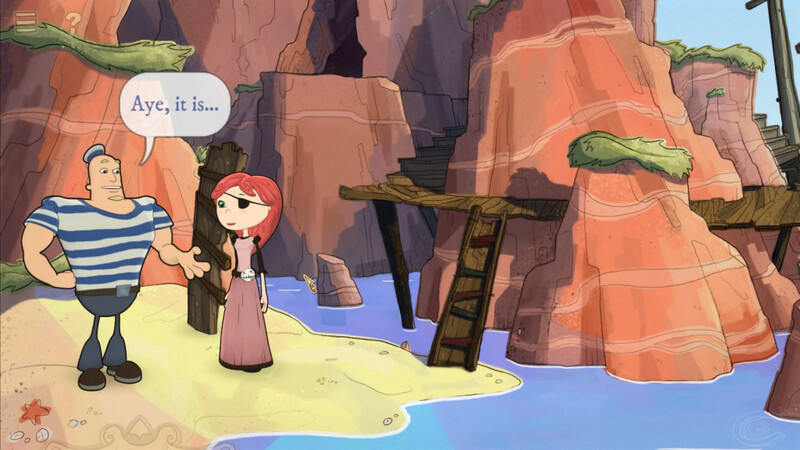 Nelly Cootalot may not be a particularly hard game, but how many Adventure games truly are? Most of them are difficult because you didn’t click the right objects, or you missed some dialogue that you can’t see again. Nelly Cootalot never leaves you lingering for too long on one of the many riddles. If you interact with the characters and observe the items, you’ll zip through the game without being tied down by boring pixel clicking. I appreciate this, because I do enjoy the experience and the story of adventure games more than being stranded on Puzzle Island. I like to be challenged but not to the point where I’m stuck in one specific area for three hours because of something I didn’t notice. Nelly Cootalot: The Fowl Fleet is middle of the road in difficulty and I’m perfectly fine with that. I have some early build concerns that hopefully will be addressed in the retail version. The first area of the game is ripe with UI and scrolling problems. The item slot would occasionally stay on-screen which impeded my ability to interact with anything else. Also, there were times when the screen would stop scrolling and I couldn’t walk to an area I needed to visit. This game doesn’t realize when you’re using dual-monitors and uses the secondary screen instead. I had to switch to single-screen settings if I wanted to record video of the game. Nelly Cootalot: The Fowl Fleet started off as something I would have dismissed because it was trying too hard to be funny. 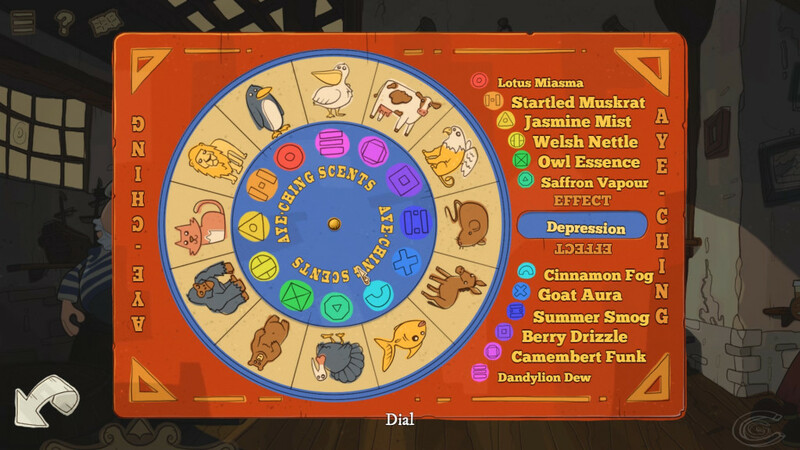 It’s not until I ran into the first real puzzle before I said, “Hey, this is actually different for an adventure game.” Suddenly, I was hankering for the next new puzzle and engaged in solving any riddle that came my way. I began to appreciate the simplistic animations and suddenly fell in love with the world of Nelly Cootalot. If you’re looking for an entertaining and different Adventure title, Nelly Cootalot might be the game with just enough charm to draw you in. Nelly is no Guybrush Threepwood, but she is certainly in a position to take over where he left off.